By increasing trade with China, Canada is demonstrating a degree of independence from the US, Ren Yuanzhe, an analyst from China's Diplomatic Academy, told Sputnik. The visit of Chinese Prime Minister Li Keqiang to Canada is an important signal that bilateral relations between the two countries are improving. On September 21 Chinese Prime Minister Li Keqiang arrived in Ottawa for an official visit, the first time a Chinese premier has visited Canada for 13 years. 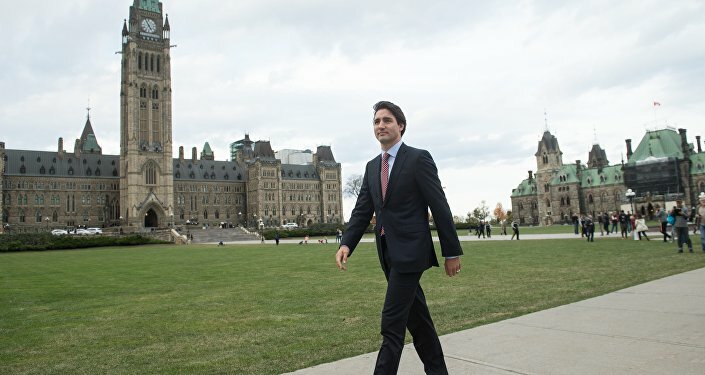 Ren Yuanzhe, an analyst from China's Diplomatic Academy, told Sputnik that the visit is a sign of closer relations between Ottawa and Beijing since incumbent Canadian Prime Minister Justin Trudeau took office in October 2015. "This is very important visit for the development of bilateral relations. Firstly, over the course of a month, China and Canada have exchanged visits at the highest state level. 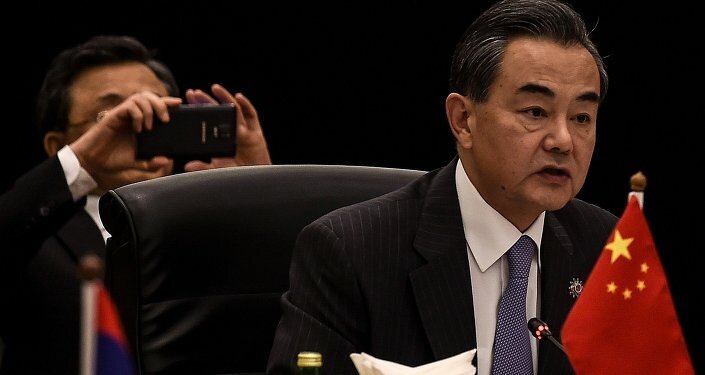 This is very rare in diplomatic practice, particularly between major countries," Yuanzhe said. Trudeau made his first official visit to China earlier this month, a week-long trip which included the G20 summit and meetings with President Xi Jinping and Prime Minister Li Keqiang. Trudeau declared his intention to "reset the relationship" and be "open for business" with Beijing, in contrast to previous administrations which have "blown hot and cold" with China. Yuanzhe said that Trudeau's eagerness to clinch business deals with China is part of a policy to develop relations with developing countries in the Asia-Pacific region, particularly as the Trans-Pacific Partnership (TPP) trade agreement appears to have stalled. "The development of Chinese-Canadian relations is an important indicator of Canada's further integration with the Asia-Pacific region," Yuanzhe said. "Canada is an ally and neighbor of the US, and the pivot towards developing relations with China is a significant breakthrough." "This is evidence of the progress of China's initiative to build a new kind of international relations and construct a network of global partnerships, with mutual (economic) benefit at the core. Seizing the chance to cooperate with China is of fundamental benefit to Canada," Yuanzhe said. Canada has applied for membership of the Beijing-led Asian Infrastructure Investment Bank (AIIB), a finance institution which aims to support the building of infrastructure in the Asia-Pacific region. The AIIB is a potential rival to the Washington-based World Bank, and the Philippines-based Asian Development Bank. The bank has 57 members from across the world, with the exclusion of the US and Japan. Elena Komkova of the Russian Academy of Science's Institute of the US and Canada told Sputnik that close relations between Canada and China have an important geopolitical dimension. "For Canada this is a chance to demonstrate its independence, that it doesn't always follow the US. However, Canada is a US ally and if the US stamped its foot then Canada probably wouldn't enter the AIIB," Komkova said. "The US might not do that because it needs its own person in the structures that are being developed under Chinese leadership. It is probably important for them to know from a direct source what is being discussed there." Komkova said that developing relations with China also enables Canada to demonstrate economic independence from Washington, particularly in the light of President Obama's decision in November 2015 to deny permission to build the Keystone XL Pipeline. The 1,897km oil pipeline was supposed to extend from Alberta, Canada's largest oil-producing province, to Nebraska in the US. "Canada has a dual role here. It could be a 'double agent.' That is, Trudeau has an important diplomatic mission, a game that he is ready for. On the one hand he is supposed to promote Canadian interests in China, and on the other hand show the Americans that look, the US didn't want to construct the Keystone XL pipeline, but Canada has another market for its oil," Komkova said. "A project is under discussion to connect the oil pipeline with Pacific Ocean ports, and the oil will be transported to the Asia-Pacific region, and possibly China," Komkova explained.